Image 1: Folded limestone in the Peruvian Andes. Click for larger view. Image 2: Fossil shells. Click for larger view. 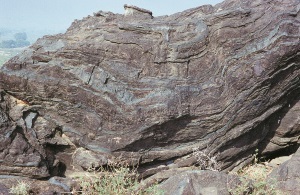 Image 3: Tightly folded rock. Click for larger view. 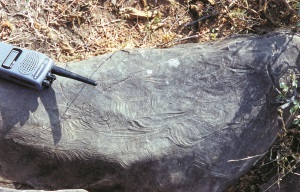 Image 4: Close-up of tightly folded rock. Click for larger view. 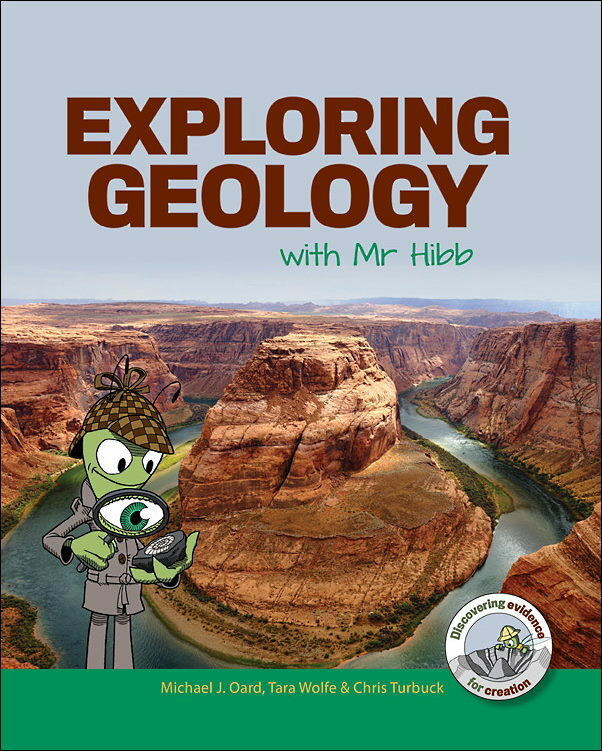 Have you been taught that folded rocks were deformed over millions of years by gradual application of heat and pressure? That’s what I was taught at high school. However, geologic formations commonly show clear evidence that the rocks could not have been hard and brittle before they were folded. 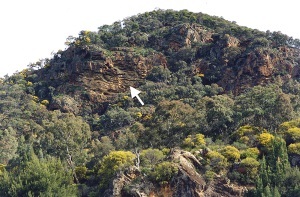 When I was studying at university, I inspected numerous rock outcrops on geology excursions. 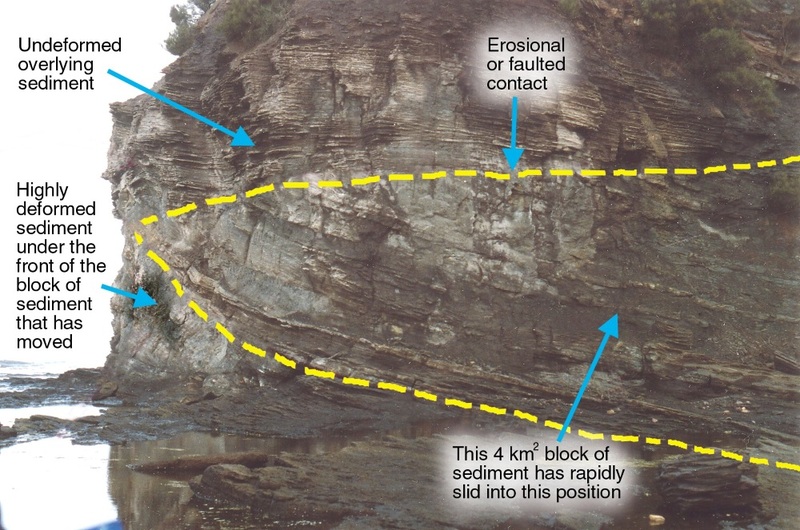 At the majority of outcrops where the rocks were folded, lecturers would explain that the rock must have been deformed while the sediment was still unconsolidated and saturated with water. They said this because, although the rocks were obviously severely deformed, there was hardly any fracturing. We all realized that the rock could not have been brittle when it was folded so tightly. It must have been soft and plastic. 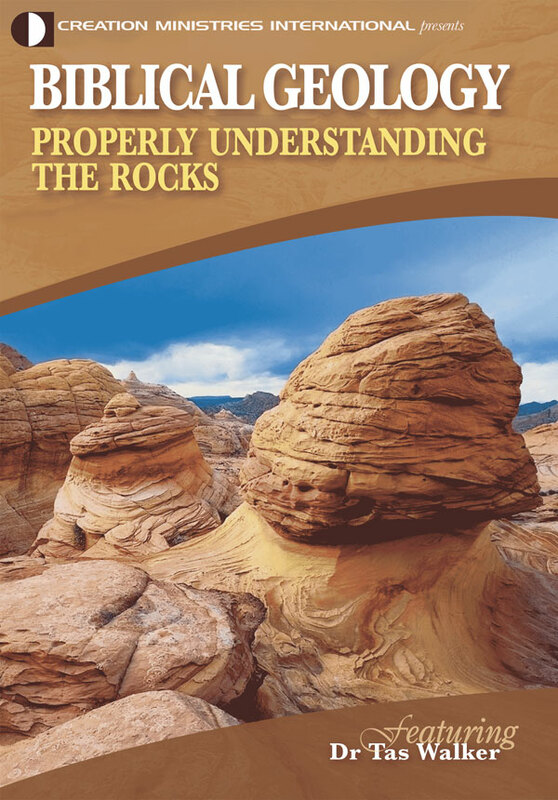 If the rocks had been hard and solid before they were deformed, they would have fractured, not folded. In my work as a geophysicist, I have observed many examples of soft sediment folding, including rocks at Turon River (Image 3 and Image 4) and Ulladulla (Image 7) in Australia and at Jaipur in India (See Image 8, Image 9, Image 10, Image 11). The lecturers also wanted us to carefully examine the minerals and texture of the rock outcrops. 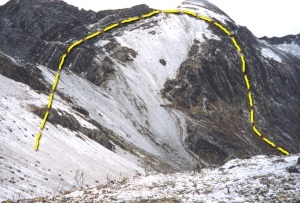 They pointed out that there was no evidence that the rocks had been subjected to much heat or pressure. Instead, it was clear that bending had taken place at normal temperatures. 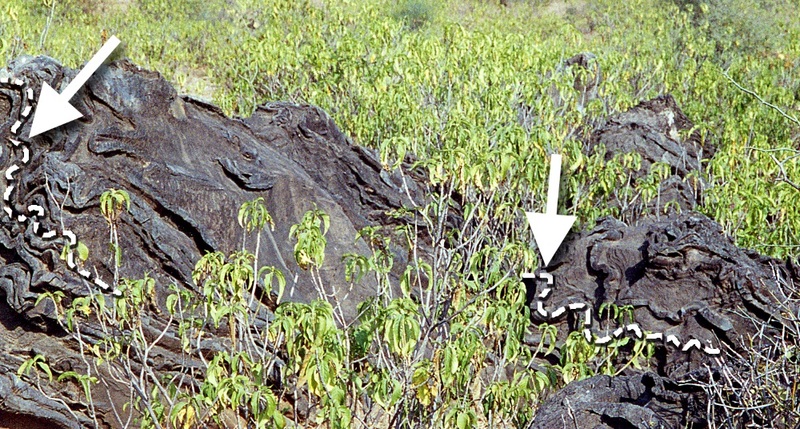 However, there are other instances where it is obvious that the folding occurred while the rock was solid. Deformation experiments have shown that such folding is possible under extreme pressure in a short time or under moderate pressure in a long time. 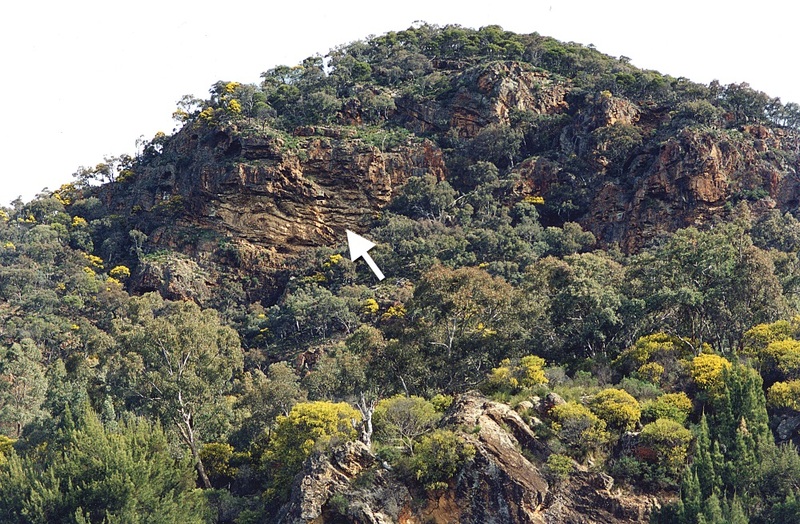 Some tightly folded rock layers are so large that they can only be properly observed from the air (Image 6). Massive folds in hard rock over such a huge area had to involve enormous forces that can only be explained by enormous catastrophe. Could continental-scale earth movements during the Genesis Flood have produced the great forces needed to fold such large, tight folds quickly? Many scoff at the thought of the global Flood, claiming that normal climatic events could not cause such an event. They are right! It was not a normal event. The Flood started when ‘the fountains of the great deep broke forth and the floodgates of the heavens were opened’ (Genesis 7:11). 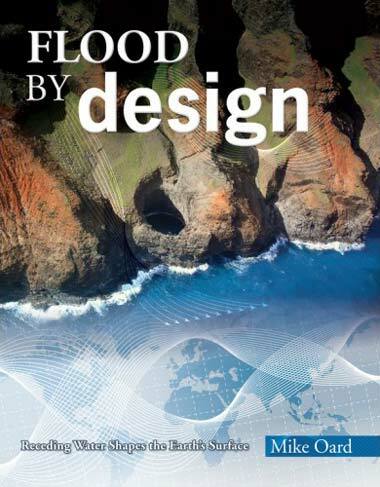 The Bible is very clear that the Flood was a real event—an incredible worldwide catastrophe. Image 5: Folds under the microscope. Click for larger view. Image 6: The enormous folds near Mt Isa, Queensland, Australia. Click for larger view. Image 7: The Ulladulla formation explained. Click for larger view. In spite of this, some people imagine that the Bible must be describing a local flood. And they only look for evidence for large local floods in the Middle East. However, if they could bring themselves to accept (even if only for the sake of the argument) the immensity of the Flood, they would soon ‘see’ that the geological evidence for global cataclysm is overwhelming. Many creationist geologists believe that the Genesis Flood involved rapid movement of the huge plates comprising the crust of the Earth. This explains why so much sediment was still soft when it was deformed. No sooner would floodwaters have deposited great volumes of mud and sand than moving plates would have crumpled and deformed the sediment while it was still saturated. The Flood also explains the colossal forces needed to fold enormous areas of hard rock. The Biblical Flood is a simple, logical, and valid explanation for why we find so much rock that has been catastrophically deformed on all the continents. In the Peruvian Andes (Ancash Province), limestone has been folded (Image 1) as an oceanic plate pushed against the edge of the South American Plate. 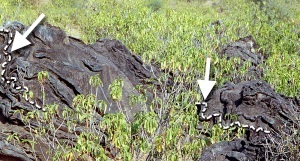 Fossilized shells found in the rock (Image 2) were once in the sea. Dinosaur footprints have also been found at this location. Experiments with deforming limestone1 show that strata such as these could have been folded within the year-long Genesis Flood. 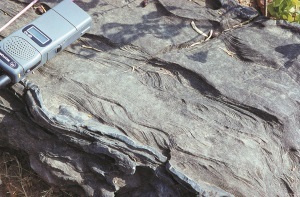 Image 8: Catastrophically deformed mudstone near Jaipur, Rajastan, India. Click for larger view. 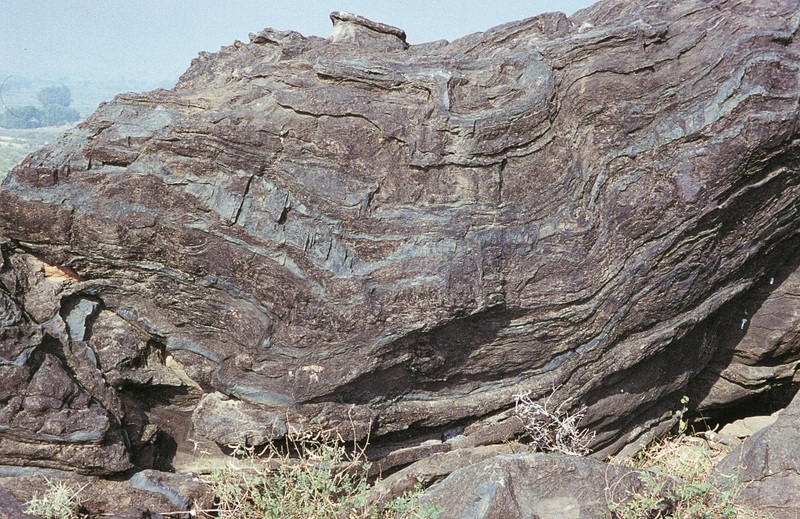 Image 9: Another image of the deformation at Jaipur, Rajastan, India. Click for larger view. Image 10: Swirls in mudstone Jaipur, Rajastan, India. Click for larger view. Image 11: Mudstone deformation Jaipur, Rajastan, India. Click for larger view. Folds of all scales proliferate in the rocks of the Earth—many are so small that they can only be seen under the microscope (Image 5). Others are so large (Image 6) they can only be seen from the air. Image 5 (at 160x magnification) shows severely deformed quartz and muscovite mica (from near Cooma, New South Wales, Australia). In contrast, the aerial photo below (Image 6) shows enormous folds near Mt Isa, Queensland, Australia. Rapid plate movement during the Genesis Flood would have provided the immense forces needed to compress and fold such great volumes of rock. In this case, the evidence is consistent with some heating of the rock, probably due to the forces involved. 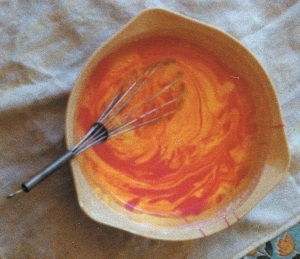 Image 12: Swirls in a cake mix. 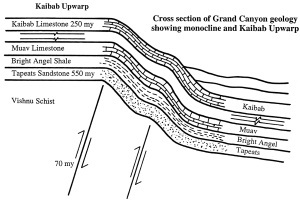 A vast expanse of catastrophically deformed mudstone north of Jaipur, Rajastan, India (Image 8), was deposited by water and severely deformed before it could solidify into rock. No gradual process taking place over millions of years can explain such large-scale deformation. 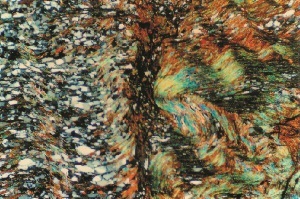 Other rock at the same location in India (See Image 9, Image 10, Image 11) has been deformed so much that it looks like a rainbow-cake mix (Image 12). The catastrophic global Flood is the event which logically explains how such mixing could have taken place—not small, gradual, everyday events over millions of years. Just as swirls in a rainbow cake were formed quickly before the mix was baked into cake, folds in much of the crust of the Earth were formed quickly in a great watery catastrophe before the rocks were solidified. Mineralogical evidence confirms that such folds could not have formed slowly over millions of years. 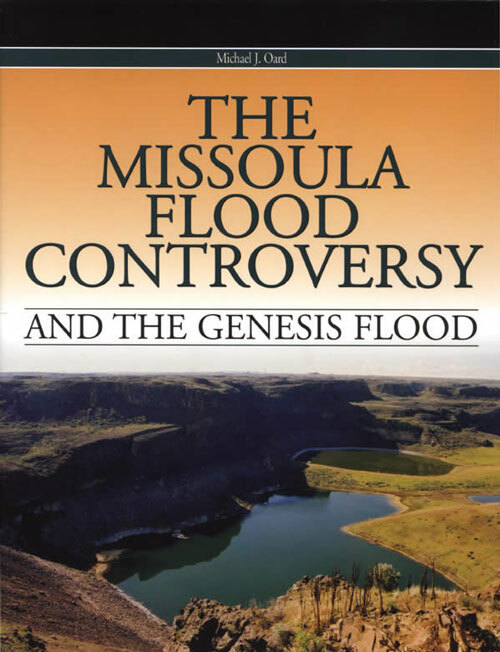 All such occurrences can, however, be well explained in the context of the Biblical Flood. Morris, J.D., The Young Earth, Master Books, Arizona, pp. 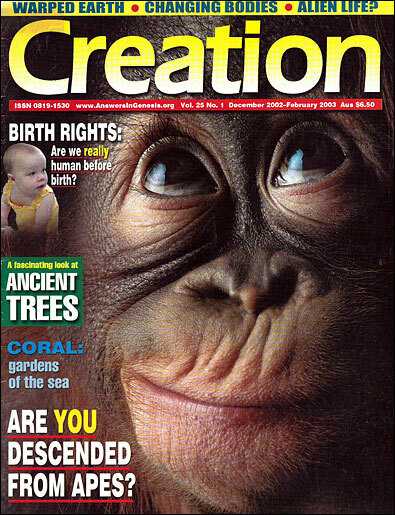 106–109, 1994. Clark, I.F. 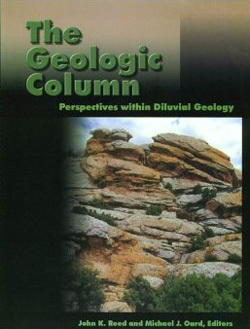 and Cook, B.J., Geological Science—Perspectives of the Earth, Ausralian Academy of Science, Canberra, Fig. 15.49, p. 404, 1986. Return to text. Wilson, C.J.L., Burg, J.P. and Pottage, A., Dynamic processes in shear of ice as a rock analogue, video, University of Melbourne, 1986. The video is available from the Audio-visual Coordinator—Centre for the Study of Higher Education, The University of Melbourne, Parkville, Victoria, 3052, Australia. Videos of deformation experiments with materials other than ice are also available. Return to text. Gostin, V.A. 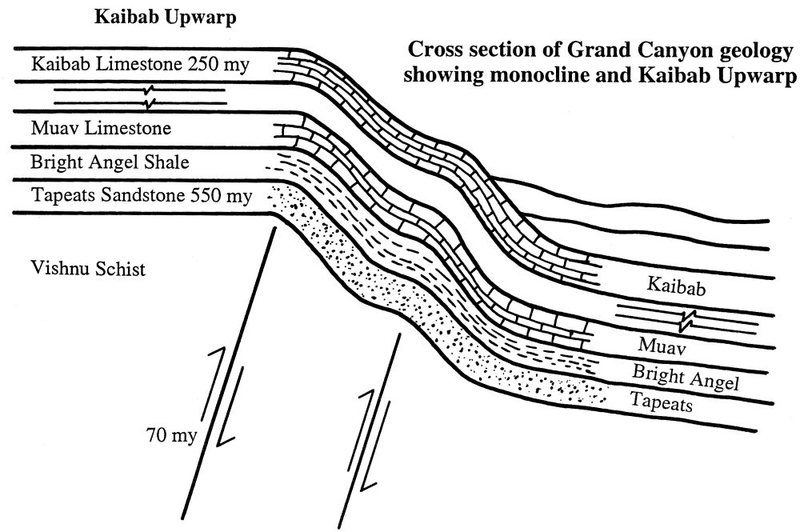 and Herbert, C., Stratigraphy of the Upper Carboniferous and Lower Permian sequence, Southern Sydney Basin, J. Geol. Soc. Aust. 20(1):49–70, 1973. Return to text.